Flaming Dragon Fixed Blade Knife | BUDK.com - Knives & Swords At The Lowest Prices! 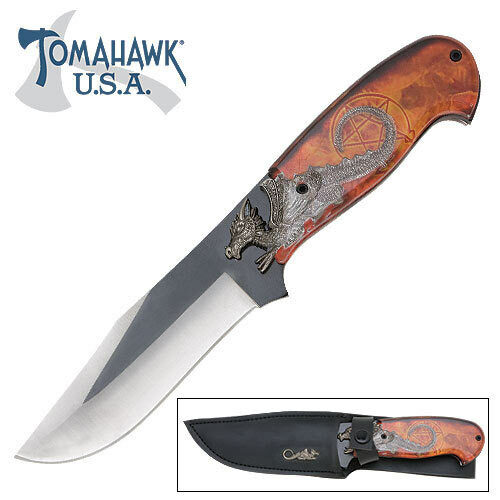 This fixed blade knife has a 4 5/8" blade constructed from 420 stainless steel with anodized black center. The slight cracked hard plastic handle is designed with a cool combination of colors and feature a cast metal animal medallion. Includes custom nylon sheath. 9" overall.